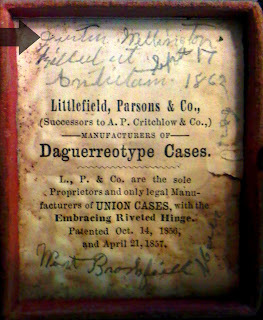 a 1/9-plate ruby ambrotype in my Civil War collection. Should he continue to work for his family, which depended on his labor as a shoemaker? Or should he go fight for his country, which was in the grips of the Civil War? 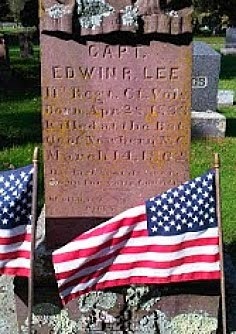 He chose to serve the Union, and it cost him his life. 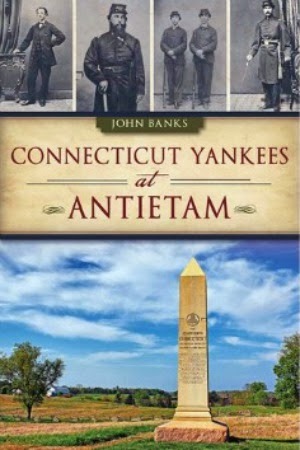 From West Brookfield, Mass., a small town about 80 miles west of Boston, Wellington came from a large family. In 1860, his parents, Apollos, 48, and Charlotte, 44, had five other children: Nancy, 24; John, 22; Marsha, 17; Julia, 15; and Charles, 12. Nancy and her husband, Oliver Woodbridge, also lived in the Wellington household with their son, Theo, and an unnamed 3 1/2-month-old girl. 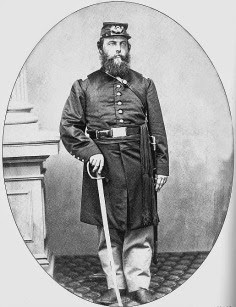 (1) Although certainly of age to serve, John did not join his brother in the Union army, perhaps because of poor health. 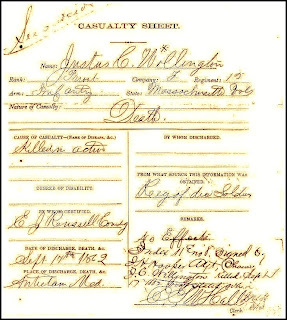 One can imagine the strain put on the family when Justus decided to travel to Worcester, about 20 miles east of West Brookfield, to join the 15th Massachusetts Infantry on July 12, 1861. The Wellingtons were not well off, and Justus' father, who made about $200 a year as a shoemaker, was not in good health during the Civil War. 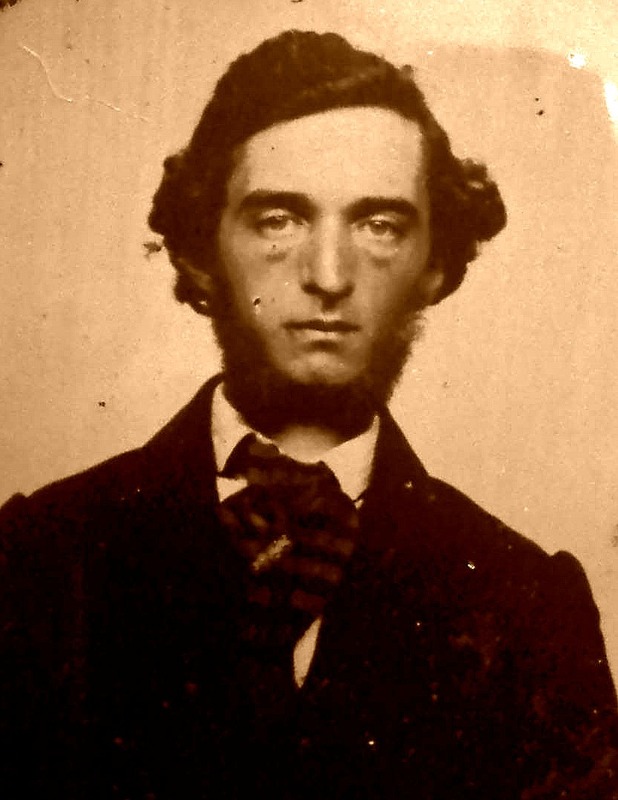 "In 1862, I remember Apollos Wellington as a weak, nervous man with constant pain in the side and back and trouble with his kidneys," Apollos' longtime physician, George Forbes, wrote after the war. "From above causes, he was unable at that time to perform manual labor and was supported by his son, Justus C., prior to and during the war. other Union soldiers swam across the Potomac River to Harrison's Island. Some drowned. wrote Justus' name and place of death. 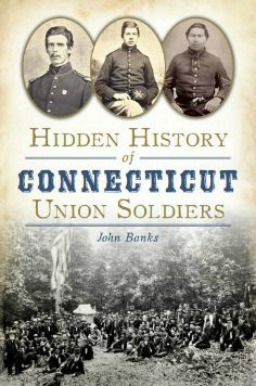 Nearly 100 men from West Brookfield served the Union during the Civil War. (3) They included 23 men who listed their occupation as shoemaker, carpenters, laborers, farmers, teamsters, a clerk, a teacher and even a minister. Sharply dressed for a photo (above) probably taken shortly before or shortly after the war began, Justus undoubtedly knew little of the rigors army life before he enlisted. 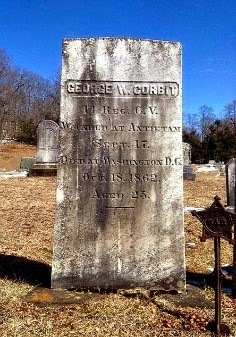 And like most Civil War soldiers, he probably never had traveled far from his hometown. 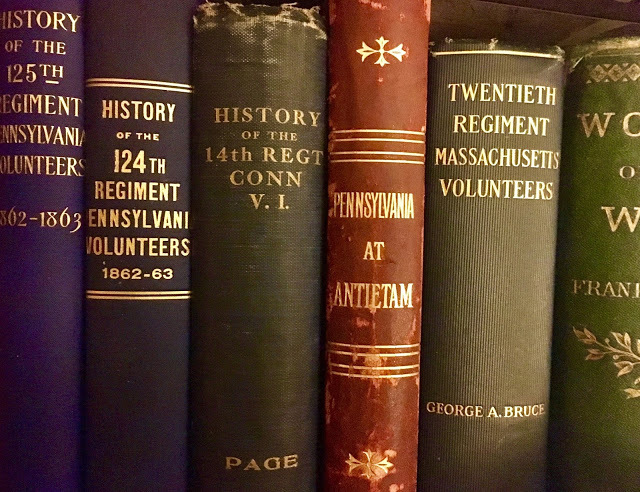 The private in Co. F. would soon know all about the horrors of the Civil War. clue where he might be buried. The 15th Massachusetts fought in all the major battles in the Eastern theater during the war, including the 1862 Peninsula Campaign at the gates of Richmond. 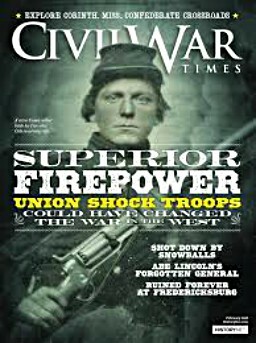 But it was in a woodlot on the outskirts of a small farming town in western Maryland that the boys from Massachusetts suffered more than any other regiment on both sides during the Civil War. 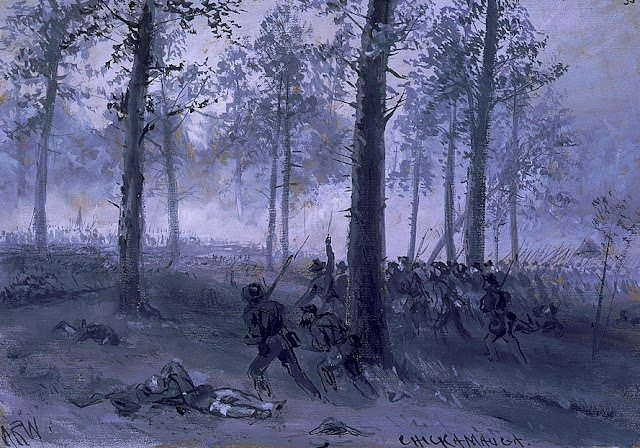 "In less time than it takes to tell it, the ground was strewn with the bodies of the dead and wounded," Private Roland Bowen of the 15th Massachusetts wrote of the fighting in the West Woods at Antietam on Sept. 17, 1862. "In a moment all was confusion, it was every man for himself. We all run like a flock of sheep. The rebs ... mowed us down." 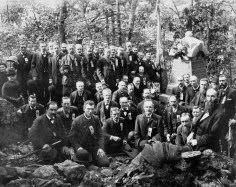 In about 20 minutes during the bloodiest day in American history, 70 men in 15th Massashusetts were killed and 255 were wounded. Among the dead was a shoemaker from Massachusetts named Justus Collins Wellington. He was 24 years, 8 months and 4 days old. Oliver Woodbridge. Oliver was a prisoner of war. 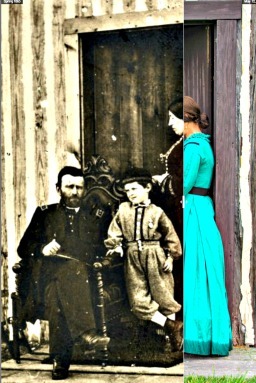 The awful effects of the Civil War hit home for the Wellington family again in 1864 when Justus' brother-in-law, Oliver Woodbridge, became a prisoner of war. 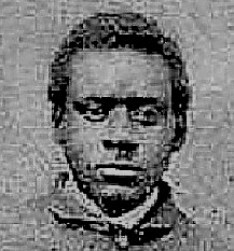 A private in the 27th Massachusetts Infantry, he joined the army after Justus' death and was captured at Southwest Creek, N.C.. He was later exchanged. 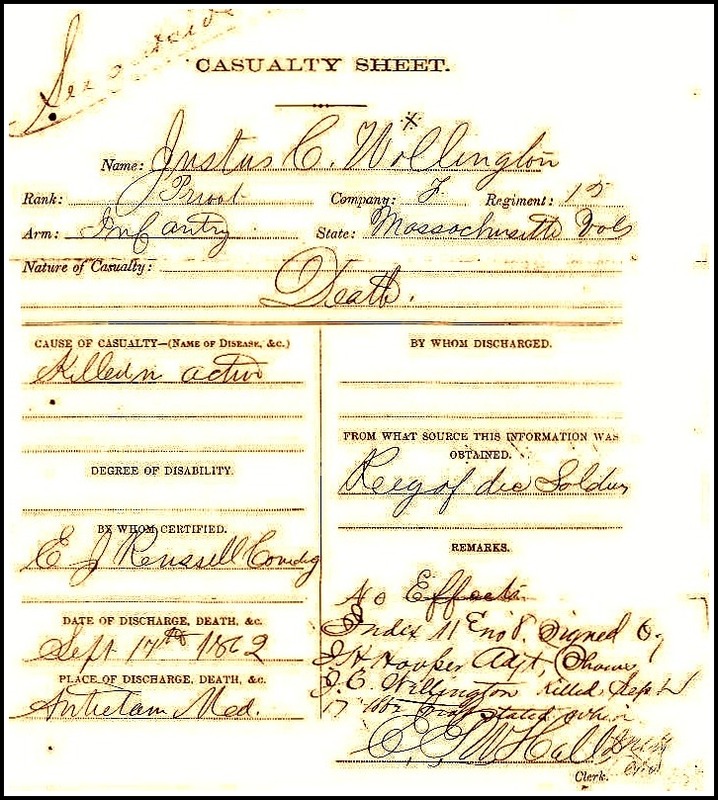 Tragedy struck the Wellington family again on July 11, 1866, when Justus' brother, John, died of "consumption" at age 24. 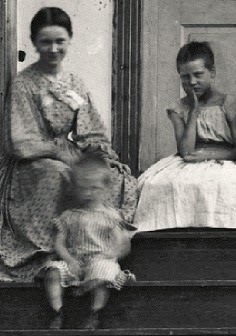 After John's death, Justus' mother became ill the next day and was "bed-ridden 10 years and sick until her death in 1876." 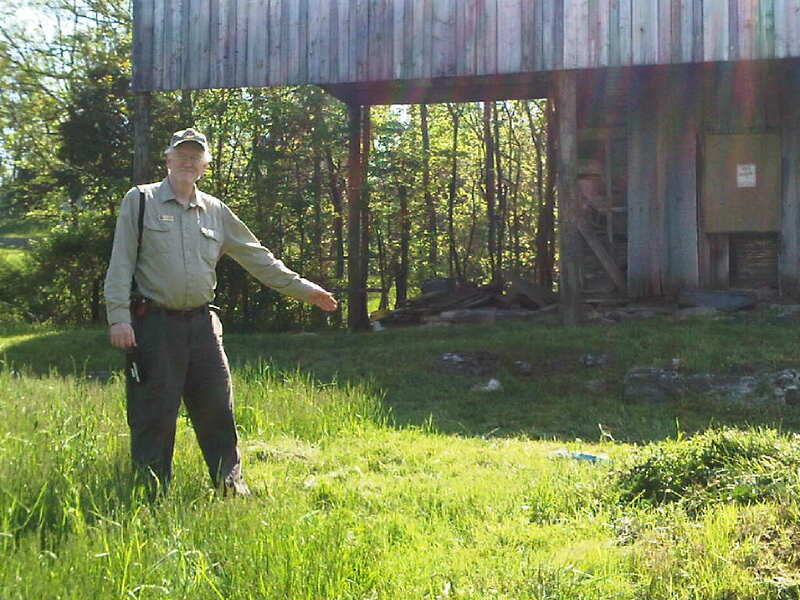 (5) Seventeen years later, Justus' father died in Monson, Mass., at age 81. 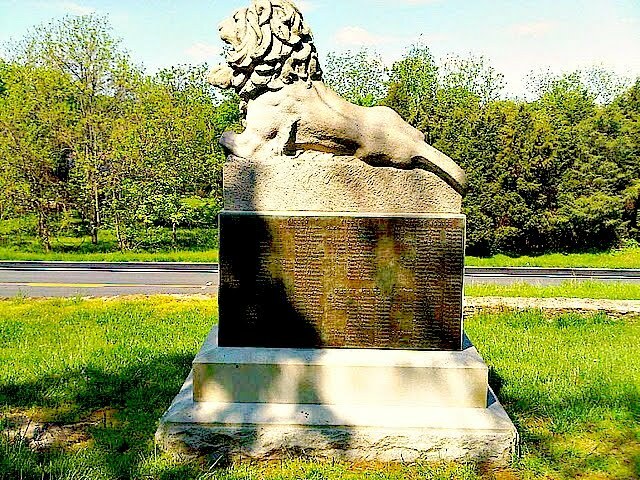 Charlotte and Apollos Wellington are buried in West Brookfield at Pine Grove Cemetery, a rolling plot of land dotted with pines a short distance from the village green. 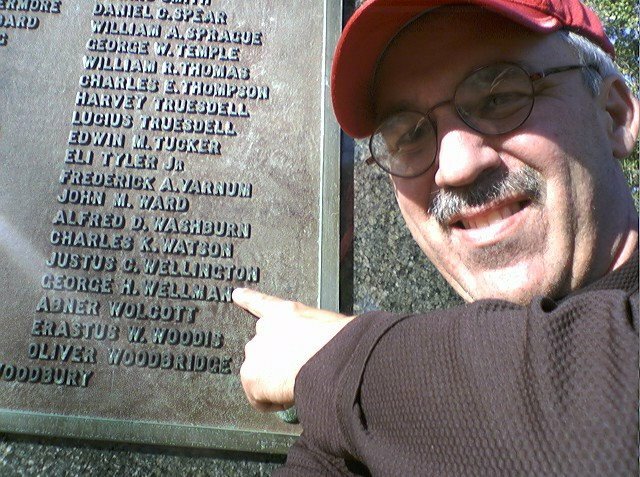 Justus Wellington's name appears on a monument to war veterans of West Brookfield, four spots above brother-in-law Oliver Woodbridge. 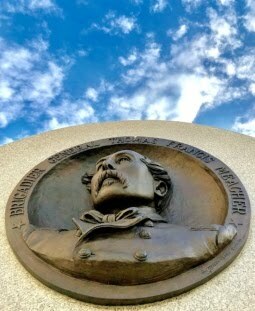 Wellington's name is also on the bottom left corner of a large plaque on the beautiful 15th Massachusetts monument at Antietam -- the most impressive monument on the field. 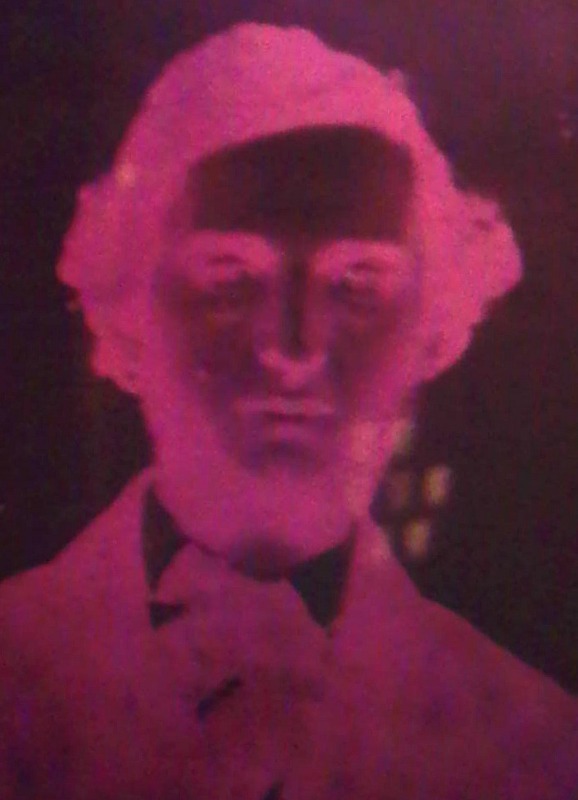 To honor Wellington, I took the ambrotype of him from my collection of Civil War photos back to Antietam five years ago, placed it next to his name on the monument and took the picture below. five years ago and photographed it next to his name on the monument. Excellent narrative, John. I really enjoyed reading it! The pension application background regarding his father is especially interesting. Thanks! for the post.